Direct TPMS provides real-time information of tire pressure using pressure monitoring sensors in the tires to let the driver know tire inflation condition to improve the safety on the road. OBE-018 is full functionally auto location sensor to register positions of 4 wheels automatically and works well as OE sensor. ORO-TEK’s first priority is to satisfy customers’ needs and to provide the most professional service. Disclaimer: The application information presented here is accurate to the best of our knowledge and is regularly updated with the latest data available in the marketplace. Due to the vast number of car models and spare parts from numerous vehicle manufacturers, please always refer our website for the most up-to-date data. All information is used as reference only. ORO-TEK with versatile and lightweight design is for easy installation to most wheels and supports for metal valve and rubber valve. 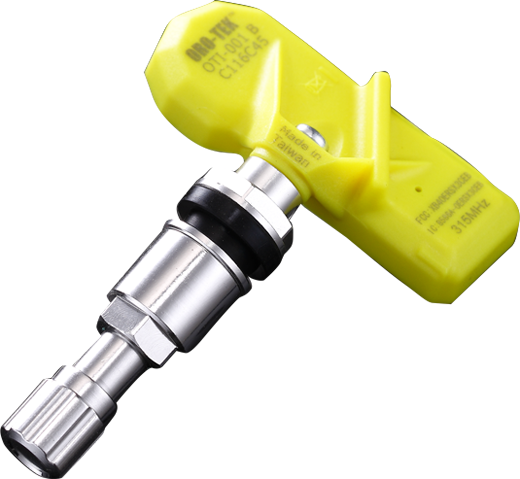 ORO-TEK sensors are replacements for motor vehicles that have factory installed Tire Pressure Monitoring System (TPMS). Caution each TPMS sensor is designed and manufactured to operate in a specific vehicle make, model, and year. Please make use of application guide and determine the proper sensor for your vehicle. Read all instructions and warnings before installation. 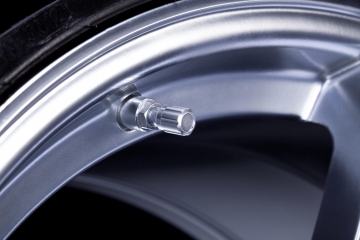 Improper installation will cause the motor vehicle TPMS system to fail to operate properly. Sensors always should be installed and paired to your vehicles ECU by a trained professional reference to the owner’s manual. Do not install sensors in damaged wheels. If the TPMS system fails to operate properly, check all installation procedures to ensure proper installation. ORO-TEK is also here to assist you troubleshoot any issue you may be having. Please visit our website ORO-TEK.com complete all questions and our tech support will contact you shortly. If the OEM equipment wheels or tires are not used , it is the responsibility of the vehicle owner to ensure that the TPMS system is functioning properly. The vehicle owner expressly assumes sole and complete responsibility for the TPMS and vehicle function if the OEM equipment wheels and tires are not used. Failure to ensure that the TPMS system is functioning properly can result in severe injury or death. Caution Each time a tire is serviced or dismounted, or if the sensor is removed or replaced, it is MANDATORY to replace the grommet, nut, and valve core to ensure proper sealing. WARNING FAILURE TO FOLLOW INSTRUCTION OR THE USE OF IMPROPER TPMS SENSORS MAY RESULT IN THE MOTOR VEHICLE TPMS FAILURE CAUSING PROPERTY DAMAGE, PERSONAL INJURY OR DEATH.